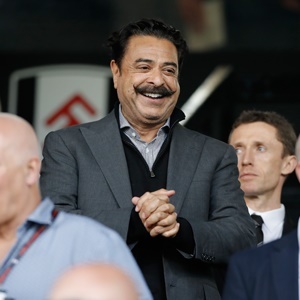 London - Fulham owner Shahid Khan must have looked at Tuesday night's Premier League results and wondered where he went wrong and how fellow promoted club Wolves got it so right. Khan's gamble on investing over £100 million in new players ended in relegation after an abject defeat by Watford on the same night Wolves, who also spent heavily after coming up from the Championship, beat Manchester United to consolidate their place in the top 10. Wolves Chinese owners meanwhile have been helped by a talented manager in Nuno Espirito Santo, who adapted well from the second tier Championship to the stiffer challenges of English football's elite. "When a club gets relegated you know there are some serious issues," said Parker tellingly after the Watford defeat. "I have ideas, but it's not the time to broadcast it." "When you get relegated, clubs change," Parker said prior to the Watford game. "In the next few weeks we will all sit down and work out a way forward and the dynamics of the squad.